Enjoy Fast Food from a varied menu of delicious Hot Dogs, Sandwiches, French Fries, Breakfast Items, Drinks, and Desserts. Located at 805 W. North Temple in Salt Lake City, UT on the corner of West North Temple & North-8Th. Wienerschnitzel is the World’s Largest Hot Dog Chain with nearly 350 Locations and serving over 120 million hot dogs a year. 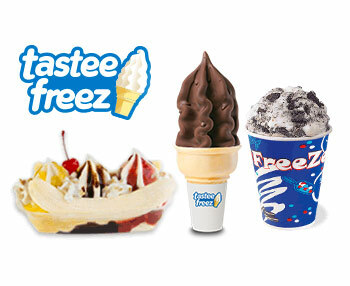 Wienerschnitzel also serves amazing Shakes, Ice Cream Cones and Sundaes made from Tastee-Freez soft serve at most locations.